Products that have had their boxes opened, but all the contents are not affected, good as new, sold with discount. 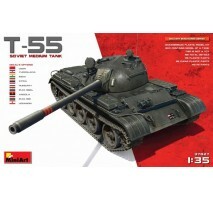 1:35 T-55 Soviet Medium Tank Kit contains a model of Soviet medium tank T-55. 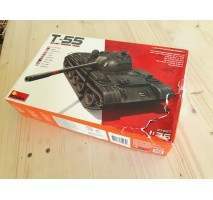 HIGHLY DETAILED MODEL WORKABLE TORSION BARS ALL HATCHES CAN BE POSED OPEN INDIVIDUAL TRACK LINKS TOTAL DETAILS 881 710 PLASTIC PARTS 145 PHOTOETCHED PARTS 26 CLEAR PLASTIC.. 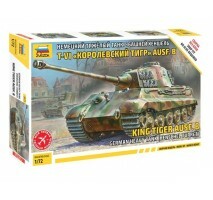 Scale model kit - King TigerScale 1:72Zvezda 5023This product is RESEALED - all the content is intact and complete but the package has been opened. ..